Gingerbread kids made of marshmallows coated in a cinnamon ginger spice blend with sprinkles to decorate! Check out my "Gingerkid Pops" idea in the December 2012 issue of Family Fun Magazine! 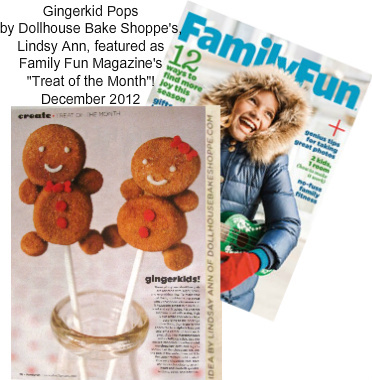 You can find my pops, recreated by Family Fun's real live test family, on page 28 as the featured "Treat of the Month". Always so exciting to see my name published along side my ideas! 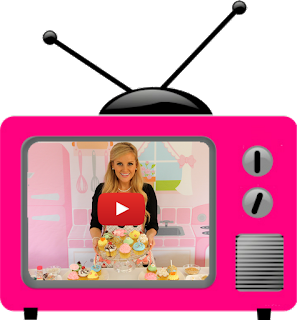 I also had the honor of creating a collection of festive recipes for their Holiday Bake Shop feature on page 68. 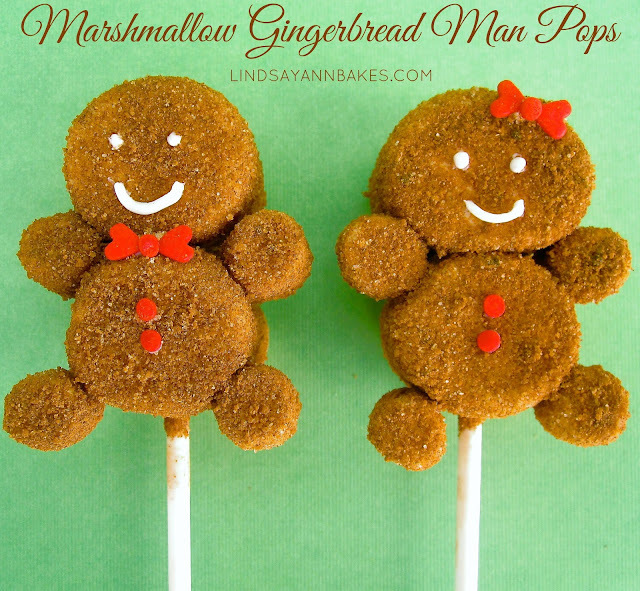 To make 2 pops: Combine about 1/4 cup sugar, 2 teaspoons cinnamon and 1/4 teaspoon ginger in a small bowl. Set aside. Melt about 2 tablespoons white chocolate according to package and place in a plastic bag. Snip off a tiny piece of the corner of the bag. Push 2 regular size marshmallows onto a lollipop stick, flat side facing out. Using melted chocolate, attach 2 mini marshmallows as the arms and 2 mini marshmallows as the legs, flat side facing out. Let dry. Dip entire marshmallow pop in water, shake off, and roll in sugar & spice mixture until completely coated. Sugar mixture will stick to the wet marshmallow, coloring it brown and flavoring it with the spices. Using your melted white chocolate, pipe on the eyes, smile, buttons, and a dot for a bow tie or hair bow. You can individually wrap your pops in clear plastic bags tied with ribbon, or you can create a display for your pops. To create a display that your pops can stand upright in, take a block of Styrofoam and wrap it in festive wrapping paper or tissue paper. Push the bottom of each stick into the styrofoam for guests to easily grab and enjoy.